Gluttony – The Moa, Sat 16 Mar. In their return season to the Adelaide Fringe, Onyx Productions once again brings an exploration of all forms of rotation with their international hit show 360 ALLSTARS. The circus-style production is a mix of street acts and high octane elite sportsmen. The cast, which includes world champion breakdancers, 2x world champion BMX Flatlander, world record holder Cyr rider and world class basketball freestylers, all showcase their talent to the delight and awe of the audience. It’s obvious that this ensemble of talented performers is extraordinarily skilled in their individual discipline but for me the show truly comes alive when they mix it up and work together. As if moving as one, the troupe creates a blend of circus, stunt and dance, all set to an infectious and pounding soundtrack created by a drummer, rapper and beatboxer. 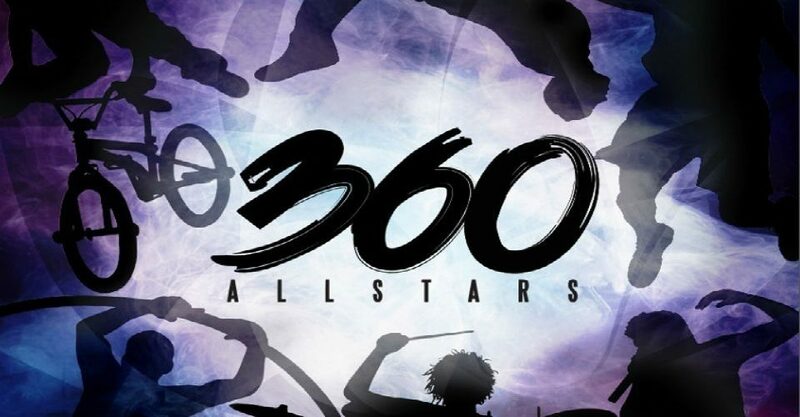 Overall 360 ALLSTARS will have you gasping in fright, gazing in amazement and clapping with jubilant applause. If you do happen to miss the show at this year’s Fringe, they are touring the county, so if they come by your neck of the woods do not miss this incredible show. 360 ALLSTARS continues at Gluttony – The Moa from 6.30pm until Sun 17 Mar. Extraordinarily skilled blend of circus, stunt and dance.